You have to be living under a rock to not recognize the growing acceptance of cannabis law reform across the globe, particularly in regards to medical use. From Reefer Madness propaganda to the “the is your brain on drugs” campaign to the hilarious “Stoner Sloth“, prohibitionists have worked hard to demonize non-medicinal use of cannabis. It is pretty much impossible to use the same, tired rhetoric against those battling cancer and glaucoma, however, so it makes sense that medical marijuana enjoys super-majority support across all demographics. 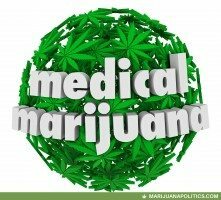 – CANADA: Cannabis consumption for medical reasons has been legal since 2001. In June 2015, the Supreme Court expanded the definition of medical marijuana to allow authorised users to bake it into cookies and brew marijuana leaves for tea, in addition to smoking it. – CROATIA: In October Croatia became the 13th European Union country to allow the medical use of cannabis. Medicines containing tetrahydrocannabinol (THC), the plant’s main psychoactive ingredient, can now be prescribed by doctors to ease health problems associated with cancer, multiple sclerosis, epilepsy and AIDS. The entire list is certainly worth reading. Despite the frustration of living under cannabis prohibition, it is rather remarkable the advancements that the cannabis community has made over the past two decades. Over the next few years, we will surely see more states and countries implement progressive cannabis laws, both medically and recreationally, and millions upon millions of people will be better off. We look forward to covering the inevitable successes that hard-working advocates are bringing about and doing our part to help the cannabis community be truly free and equal to make their own sensible medical and recreational decisions.